The Soniat House in New Orleans isn’t like a hotel at all. Nor is it like an inn or a bed and breakfast. What it is like is stepping back to turn-of-the-century New Orleans and visiting your very wealthy aunt at her estate. You knock gently on the thick front door that meets the East Quarter street and wait under the light of the lanterns for your warm welcome into her home. Once the door swings open and you kiss her hello, you drag your bags along the stone-paved and candle-lit corridor behind her. She escorts you past the flourishing courtyard in the center of her home on the way to your room. Each room at Soniat House is the way I imagine rooms in old Southern mansions would have been—varying in décor from room to room, but woven tightly together with a common thread of eloquence and class. This is where Auntie Rose leaves you, but not without showing you around the room first. She pulls open the closet doors to show you spare linens, towels, and bathrobes. She carefully lights the fireplace so that you won’t have to hassle with it yourself. She grins as she shows you the Jacuzzi tub and leaves the television remote on your bedside table while instructing you to spend your free time outside. Before she kisses you goodnight, she subtly insists that you join everyone in the house for breakfast in the courtyard—a signature wake-you-up-the-right-way course of freshly made biscuits, jam, juice, and chicory. Soniat House is just like this—minus the wealthy aunt part. It’s unlike any other place I have stayed; exuding unmistakable grace and impeccable style all while transporting you to an older New Orleans—a fantasy well-played in such a quiet and residential section of the city. 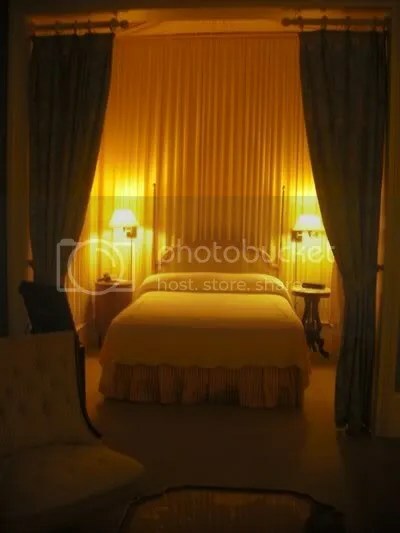 But within a few blocks you’ll feel right at home with the notorious French Quarter you hear stories about, but not without the luxury of tipsily tapping your way back to your old-style room, engulfed in mystery and charm so thick you could choke on it.